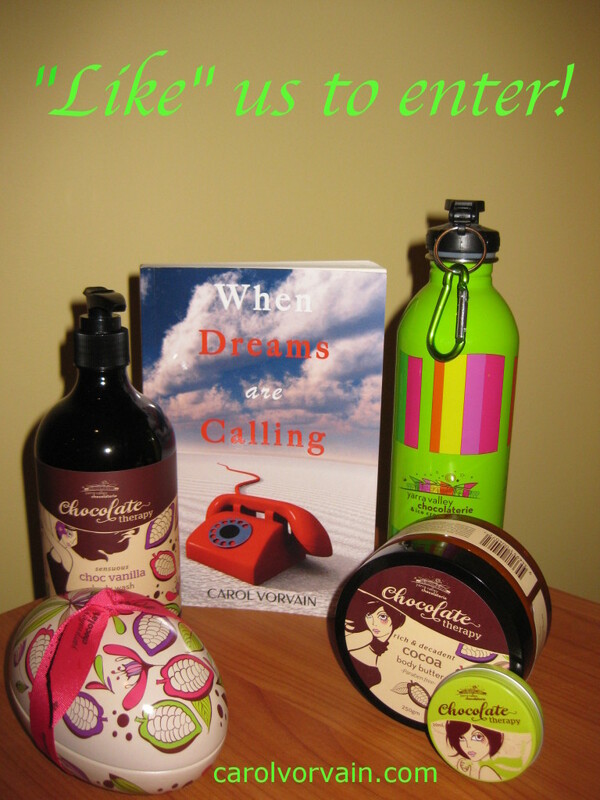 WIN a Chocolate Indulgence Spa Package and an Amazing Book! Do you love chocolate? Do you love to read? Win a $150 Gift package: a signed copy of my book, When Dreams are Calling, and 5 Australian home made Yarra Valley Chocolaterie products. In addition to the grand prize, for every 100 “Likes” one person will win a copy of the book. All you have to do is Click on the picture, Like my page and enter the contest here. Give your body a chocolate treat and unleash the power of your dreams!